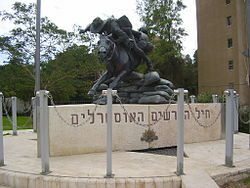 It is International Holocaust Memorial Day today, and although it is not marked in Israel since we have our own Yom Hashoah after Pesach, this is a fitting time to both talk about the Shoah, to remember the different kinds of heroes who saved so many lives, and also to warn about the ugly resurgence of antisemitism today. Simcha Rotem, last surviving fighter in the Warsaw Ghetto Uprising of 1943, died in Jerusalem Saturday at the age of 94. Rotem, born in Warsaw in 1924 as Kazik Ratajzer, was active in Zionist youth movements by his early teen years. He was 15 when World War II broke out and Nazi Germany invaded Poland. Early in the war German bombs destroyed his family’s home, killing several family members including his brother and grandparents. He and his mother were wounded. In 1942 Rotem joined the Warsaw Ghetto’s Jewish Combat Organization, or ZOB, which was committed to armed resistance against the Nazis. In April 1943 the Nazis began efforts to empty the Ghetto of its remaining occupants, leading to the outbreak of combat, with Rotem fighting under one of the leaders, Marek Edelman. As the Germans pounded the Ghetto and the uprising faltered, Rotem was instrumental in helping fighters flee to safety through the Warsaw’s sewer system to forests outside the city. He continued to fight alongside Polish partisans and in 1944 participated in the Warsaw Uprising. After the war he joined avengers group Nakam, which was dedicated to exacting vengeance on Nazi war criminals. Prime Minister Benjamin Netanyahu on Saturday eulogized Rotem. “Kazik fought the Nazis, saved Jews, made aliyah after the Holocaust, and told the story of his heroism to thousands of Israelis,” he said. With his passing, there is only a single known remaining Warsaw ghetto uprising survivor left in Israel — 89-year-old Aliza Vitis-Shomron. Her main task had been distributing leaflets in the ghetto before she was ordered to escape and tell the world of the Jews’ heroic battle. What an incredibly brave man! It is hard to imagine the terror and helplessness that the Jews of Warsaw, of all of Europe, felt during those dark days, and yet there were such courageous men as Simcha who refused to lie down and die. It is the people like him who helped build the new State of Israel and rebuild the Jewish nation after the Shoah. May Simcha Rotem z”l rest in peace and may his memory be for a blessing. The words of Lion ‘Bob’ Rubin, who along with his family was saved from Hitler’s murderous Nazi regime thanks to the bravery of Black Country war hero Major Frank Foley. The MI6 officer used his role in the British passport control office in Berlin to help an estimated 10,000 Jews flee Nazi Germany, before retiring to live in the Black Country. Among them was Mr Rubin, then aged two, and his Polish-born parents, Samson and Ettel, who Major Foley issued with papers that helped them to flee Germany for England just 25 days before the start of the Second World War. Now the long lost papers showing how Mr Foley engineered their escape have seen the light of day for the first time in decades. A suitcase containing the documents – including letters, birth certificates, memoirs and official papers – has been donated to the The World Holocaust Remembrance Center (Yad Vashem), in Jerusalem, Israel. It had belonged to Mr Rubin’s then 12-year-old sister Daisy, who left for England a short time before the rest of the family via a train laid on through the Kindertransport rescue effort. In a letter she explained how her parents and brother had escaped in the nick of time – all thanks to the efforts of Mr Foley.”My family tried to emigrate to anywhere after the Austrian Anschluss [Nazi-occupation] in March 1938,” she wrote…. Daisy – who died in 2011 – stayed in Rabbi Solomon Schonfeld’s hostel for Jewish refugee girls in Sunderland before reuniting with her family in London. Mr Rubin, a former black cab driver who has lived in London since escaping Germany, said: “I can’t know how hard it must have been for my parents to send their daughter away on the Kindertransport – not knowing if they will ever see her again. “But we were the lucky ones. None of the other girls [from the hostel] ever saw their parents again.” The suitcase and the items were presented by Daisy’s daughter, Susan Herold. British spy Mr Foley’s bravery would later see him become known as ‘the British Schindler’. You can read Daisy’s story in her own words in the Esra Magazine, which she wrote shortly before she passed away. Frank Foley was one of the true heroes of the Shoah, and it is very good that he was finally recognized and honoured for his courage. Kol hakavod to Susan Herold for donating her mother’s papers to Yad Vashem for the sake of posterity – so that no one can ever say “it never happened”. Outrageously though, there are indeed many people who say “it never happened”, Holocaust deniers who refuse to believe that the Nazis murdered 6 million Jews and millions of other “undesirables”. They are but one example of the modern antisemites who have raised their heads and magnified their voices now that antisemitism is no longer unfashionable. In Britain, the latest target of Labour antisemitism, about which I have blogged so many times in recent years, is the heroic Rachel Riley whom I wrote about a couple of weeks ago. Rachel is a game show presenter who had no need to jump into the fray and could have remained a happy show-biz personality. But the courage of her convictions (real physical courage) led her to announce that she herself is Jewish and to investigate and denounce Labour Antisemitism. This has brought incredible amounts of opprobrium, hate mail, even death threats on her head. The fact that this is happening in 21st century Britain and doesn’t even seem to be investigated by the police is staggering. I thought all Jew-haters were like them [Nazis], loud and proud, and acting through irrational hate which could neither be explained nor understood – and I also thought that that the horrors of the Holocaust would mean that antisemitism would never rear its ugly head again. I’ve had to do so much research and learning to even begin to have the tools to fight this. I’ve read books, watched videos, taken an online course, spoken to experts, spoken to Jewish groups, spoken to Labour Party members and MPs. I spent 6 hours on Christmas Day watching education videos on the history of antisemitism, including so much not so festive stuff about the Holocaust. Rachel Riley’s word resonate loudly and are a battle cry and challenge for all of us. We must never forget and always remember, so that history cannot be denied and the victims made victims once more. As I always do on these days of commemoration, I invite readers to visit my pages on my family history during the Shoah. First published at Anne’s Opinions. Please visit the great site. Next Oz Torah: Ethics in business – Ask the Rabbi.